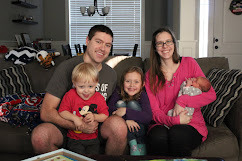 So in case you are new to the blog or live under a rock, I had a baby last December. That still seems crazy to me but since I'm looking at my sleeping almost 4 month old, it must be true. With my other two kids it took me a bit to get back to working out again. But I didn't want to wait so long this time for several reasons. So once I got the all clear, I started with Moms Into Fitness. I love her workouts and I love how they are cratered to moms (although Rob did do 30 Day Core with me and he liked it a lot). She is a mom herself and easy to relate to. I have always like all her stuff and it seemed like the perfect way to ease myself back into working out. Postnatal Slimdown is a 14 week program that builds on itself as you get stronger and start getting your body back. Weight has never been an issue since I seem to always lose all my baby weight the day I have my baby. But strength is definitely my issue and getting that and my endurance back is always top priority. Although feeling more comfortable in my own skin is always a bonus. So I dove into the workout. The first six weeks was in phase one and the last two weeks were phase two. Throughout phase one, you do the same workouts but in different combinations. All the workouts were about 10 minutes long. There were two total body workouts, two cardio workouts and three core. And it was all mix and match using the calendar provided. All started out good and strong. But after about four weeks of doing the same workouts I was starting to get bored. And even more I was not seeing any results. I was getting up early (5:30-5:45 every morning) to get a workout in and I felt like I had nothing to show for it. My endurance wasn't better. I wasn't stronger. I wasn't seeing any results in my body. But I got through phase one and was ready for phase two - kind of. I was ready to move on but I wasn't sure moving on to 8 more weeks of this workout (in phase two) was the right course for me. But I got up and did my workout. After getting through it and doing the measurements which were part of the plan for day one of phase two, I found myself wanting to not do anymore days. I didn't want to continue with this workout. My measurements were in fact going the wrong direction and I wasn't feeling good. I have a desire to finish things. I started a workout and said I would do so many days so in my mind I had to finish it. But for the first time I decided that that wasn't the right move for me. I knew that I still had a long way to go and I would just end up repeating the same workouts over and over. I just couldn't do it. I didn't want to get discouraged then end up giving up on working out all together. So I decided that after finishing phase one (and one day of phase two) I was going to pack this one away. I actually looked forward to the change. I didn't know what I was going to to do to finish out the week but I knew what I was going to do next (and although I was nervous about my next workout I was also really excited). I wouldn't say that this workout was bad. It just wasn't for me. I think if you need a way to ease back into exercise after having a baby then this is a great choice. But it's not good for me anymore, so I'm looking forward to what's next in my exercise journey.